Anticoagulants are prescribed for prevention of thromboembolic events (TE) of atrial fibrillation (AF), however, their effects have a negative impact on disastrous bleeding outcomes. Idarucizumab was developed to reverse the anticoagulation effects of dabigatran. This study aimed to retrospectively investigate the clinical efficacy and safety of idarucizumab in the setting of progressive emergent bleeding events associated with catheter ablation (CA). Dabigatran is given uninterruptedly as an anticoagulant in patients undergoing CA of AF. 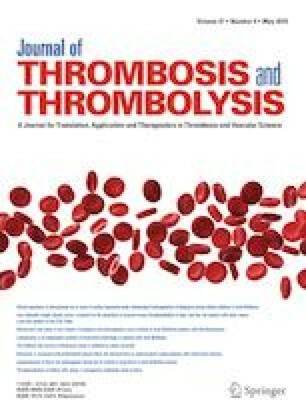 The capacity of idarucizumab to reverse the anticoagulant effects of dabigatran in patients with cardiac tamponade associated with CA was examined by measuring the activated partial thromboplastin time (aPTT), active clotting time (ACT), and prothrombin international normalizing ratio (PT-INR). The primary endpoint was effective hemostasis. This analysis included 21 patients receiving idarucizumab, given for restoration of hemostasis. In all 21 patients, hemostasis was restored at a median of 205.6 ± 14.8 min. Normal intraoperative cessation of bleeding was reported in 16 patients, and completion of hemostasis was also ascertained in the remaining four within 5 h. No TEs occurred within 72 h after the idarucizumab administration. Despite a significant reduction in the aPTT and ACT, no significant change was observed in PT-INR after administering idarucizumab. In emergency situations, idarucizumab was able to reverse dabigatran within a relatively short period without any serious adverse events.